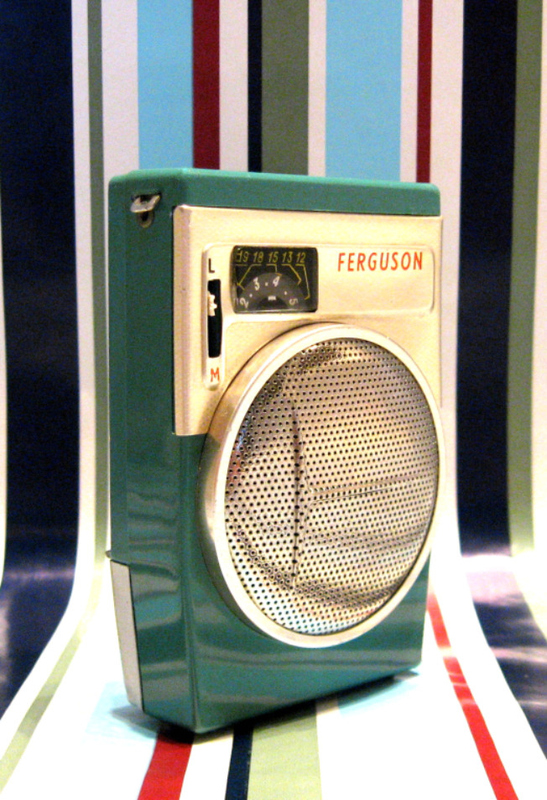 This Ferguson 3108 was manufactured in Great Britain in 1962. 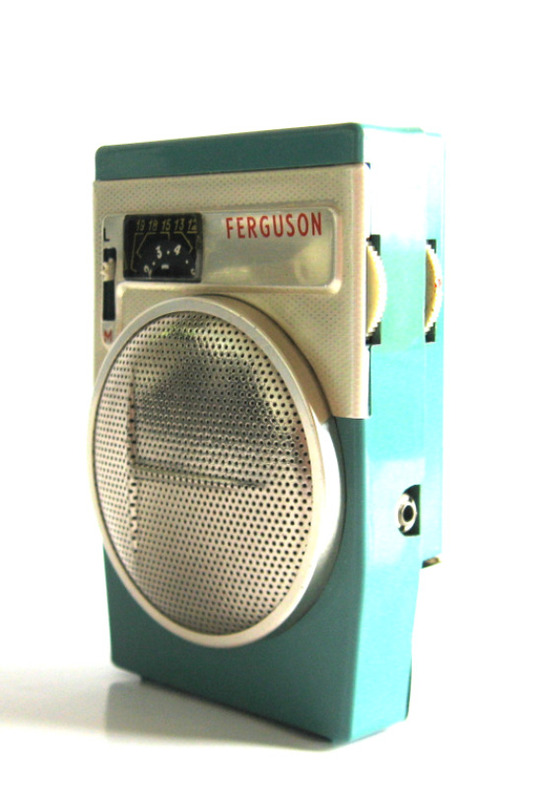 It was made by the Ferguson Radio Corporation Ltd, a company owned by Thorn Electrical Industries. It appears to be a clone of the Sony TR-620. 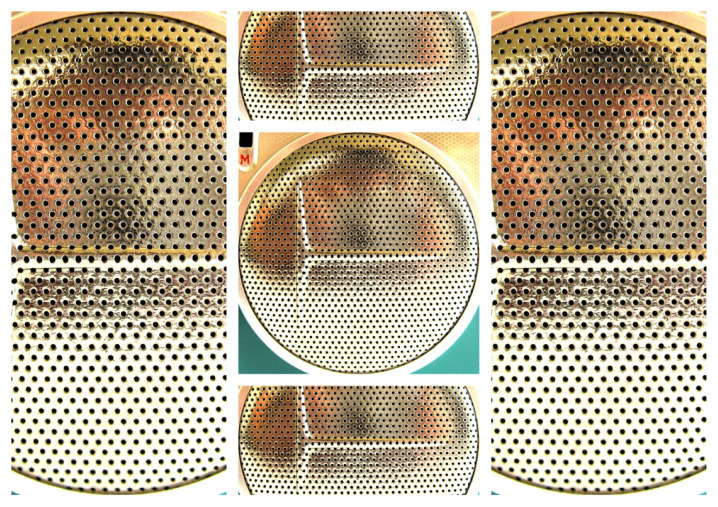 From the patterned speaker grill to the hinged aluminum battery compartment it is very similar. 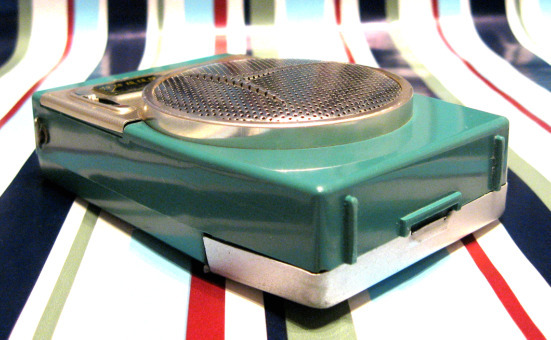 The Sony TR-620 was the first Sony radio introduced to the UK and was offered for sale in 1960. Its small size, cutting edge design and quality made it popular with consumers and British manufacturers certainly would have taken note. That would have given their designers approximately two years to up their game and come up with this neat little copy. The Ferguson 3108 is a solid, compact and well made radio, just like a Sony! REF: Radio! Radio! 3rd Edition by Jonathan Hill. 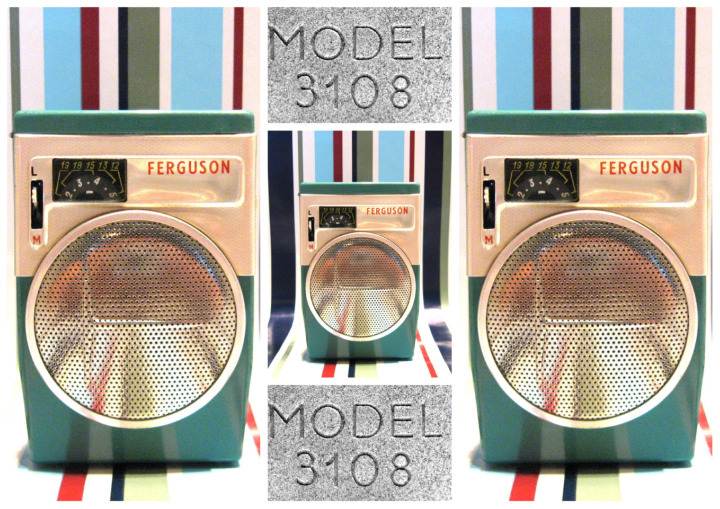 This Ferguson 3108 features a simple raised pattern/symbol set on a classic circular metal speaker grill. It looks like a sideways T. It operates on both the MW and LW bands. 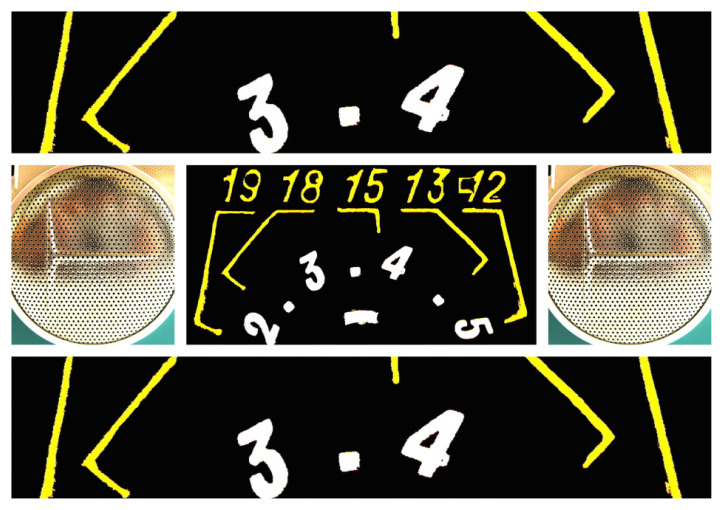 The black and yellow dial scale is representative of both bands. 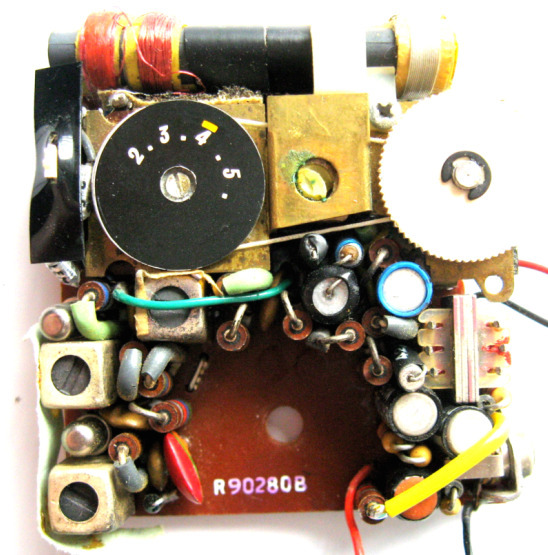 It has a small switch beside the dial scale for toggling between MW and LW. The front and sides of the cabinet are a smooth, deep turquoise colour and the back is beveled. 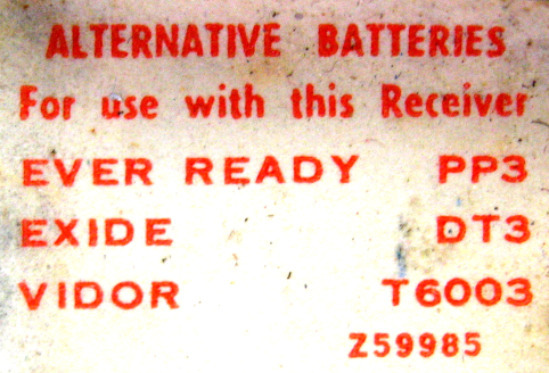 The model number and 'Made in GT Britain' are printed on the aluminum battery cover. It measures 62mm W x 92mm H x 26mm D / 2.4" x 3.6" x 1" and originally sold in the UK for £9.15s.6d. 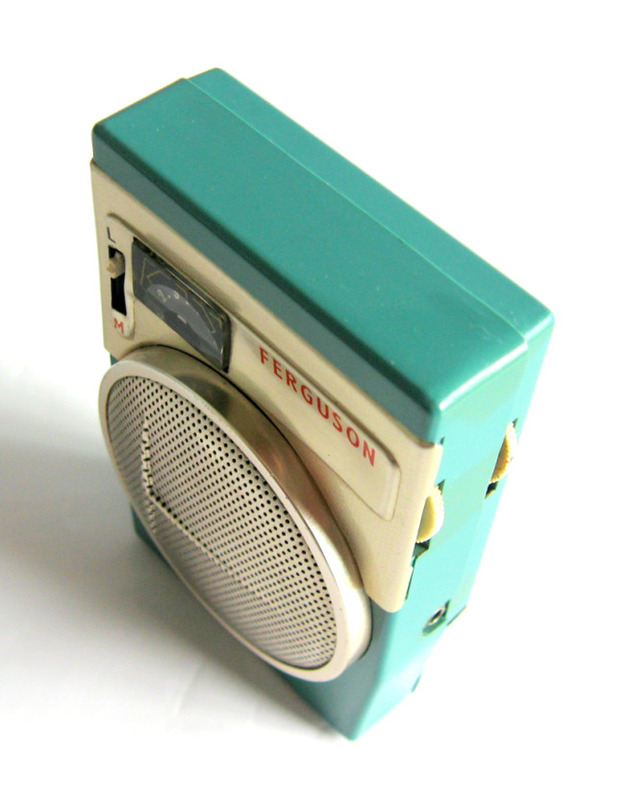 Ferguson Radio Corporation was originally an American–Canadian pre-War company making radio sets for the U.K. market. 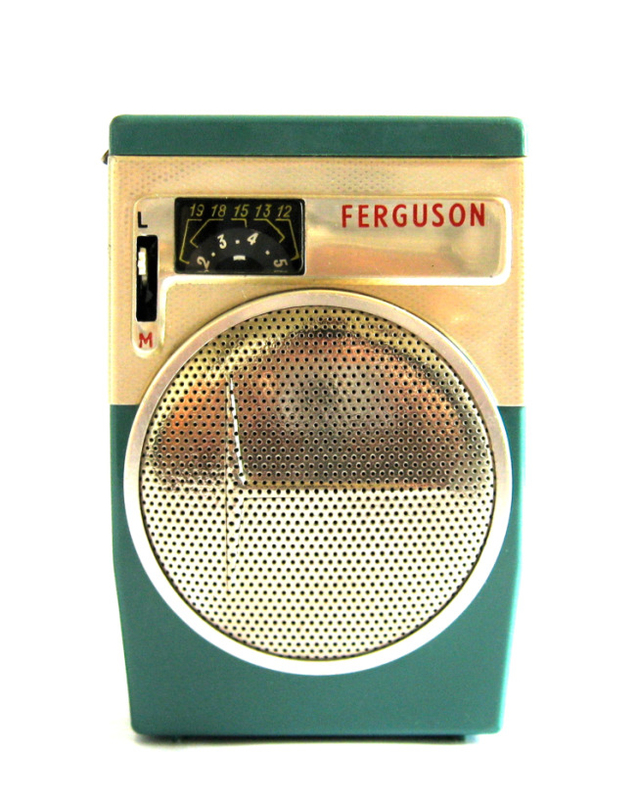 In 1936 it was taken over by Thorn Electrical Industries who continued to sell radios branded as Ferguson. 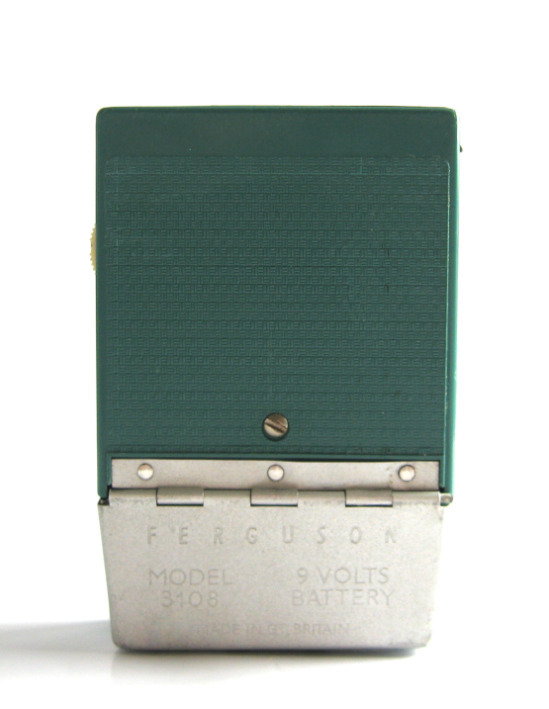 Ferguson manufactured transistor radios from 1959 to 1972+ starting with the 348BT Fieldfare. 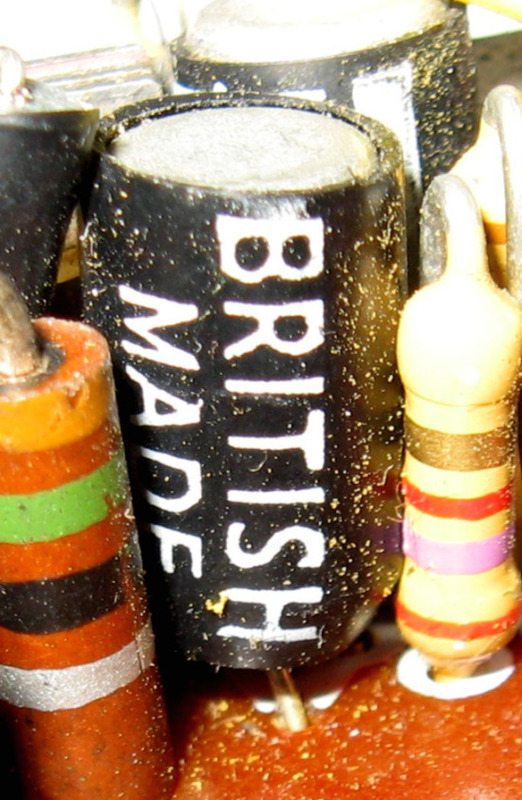 In 1965 they changed their name to British Radio Corporation Ltd. By 1968 some models were being made in Japan. 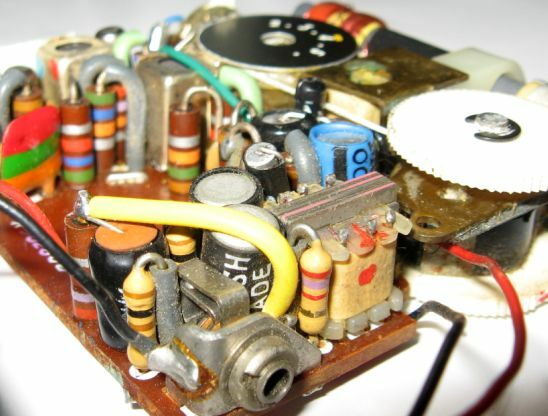 It is now owned by French electronics company Thomson and operates as Ferguson Electronics. 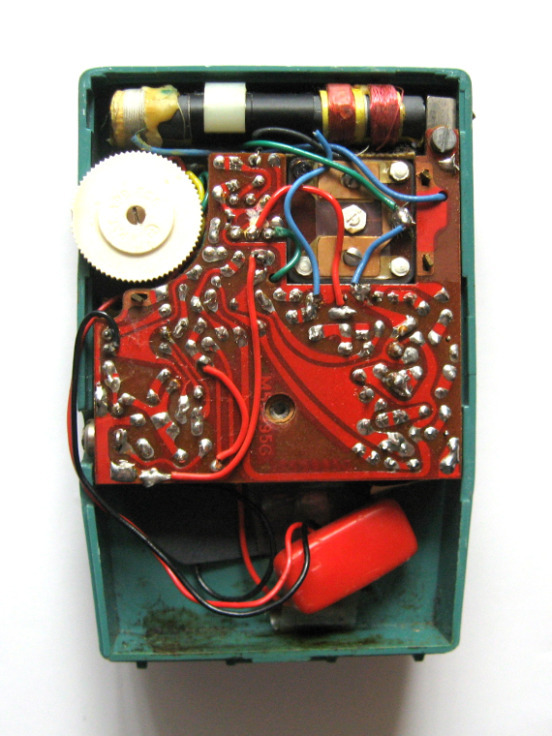 This Ferguson uses 6 transistors, three manufactured by Mullard (2x OC81D & 1x OC81) and three by Philco (T2067). Its serial number is 6125. 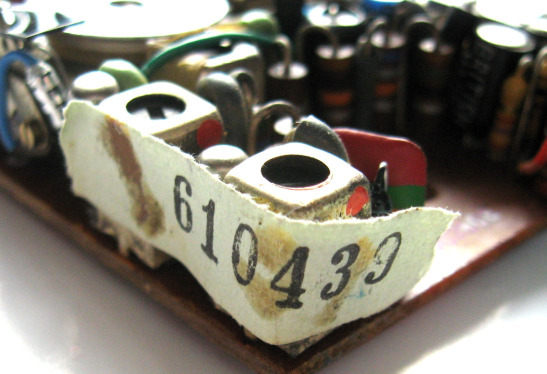 There is another number attached around the circuit board, not sure what this is, perhaps a stock number?